The Power Washer is the amazing all-new spray nozzle attachment that turns your ordinary water hose into a high-pressure power washer. Bulky pressure washers are expensive, heavy, and use gas or electricity. The Power Washer's clever design uses a controlled flow to build a powerful jet stream right from your garden hose. The Turbo Jet power washer wand is your easy, economical solution for tough outdoor problems. 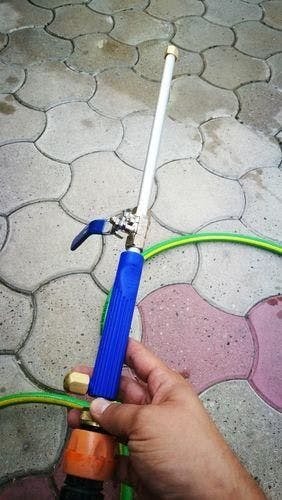 Transforms a garden hose into a pressure washer. Great for cleaning decks, driveways, patios, cars, and other outdoor stains. 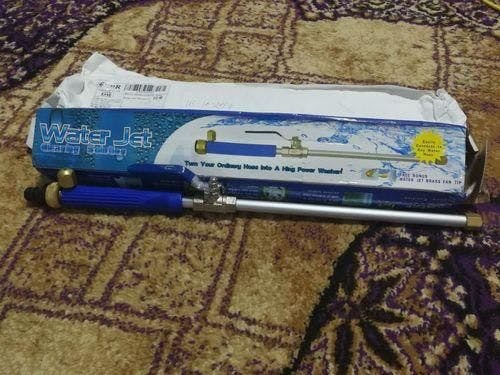 Connects to most household garden hoses. Worked good for washing the car and my kids bike. Worked good for washing the car and my kids bike. 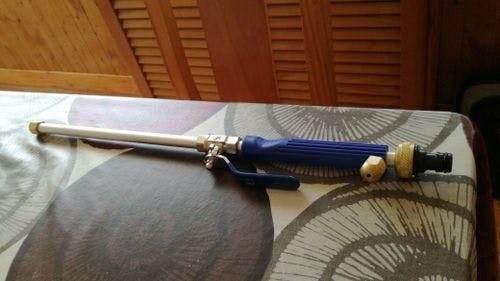 Good for spraying out small spaces. Satisfied enough. It works great. Nice for the siding on my house, and washing the car! I have to clean my pool deck every morning to get rid of bird and toad droppings. I have to clean my pool deck every morning to get rid of bird and toad droppings. My well pump doesn't have very good pressure. This one increases the power of the water stream so I don't have to set up a power washer. 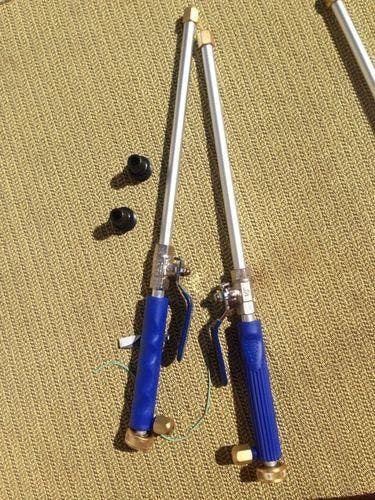 The two fittings are all I need to get the job done. I think it's a great product because it makes my outside chores a lot easier. We are happy with it; it is perfect for cleaning up sand and salt on cars, ATV, and furniture at our beach house. It is strong enough for what we need to clean.